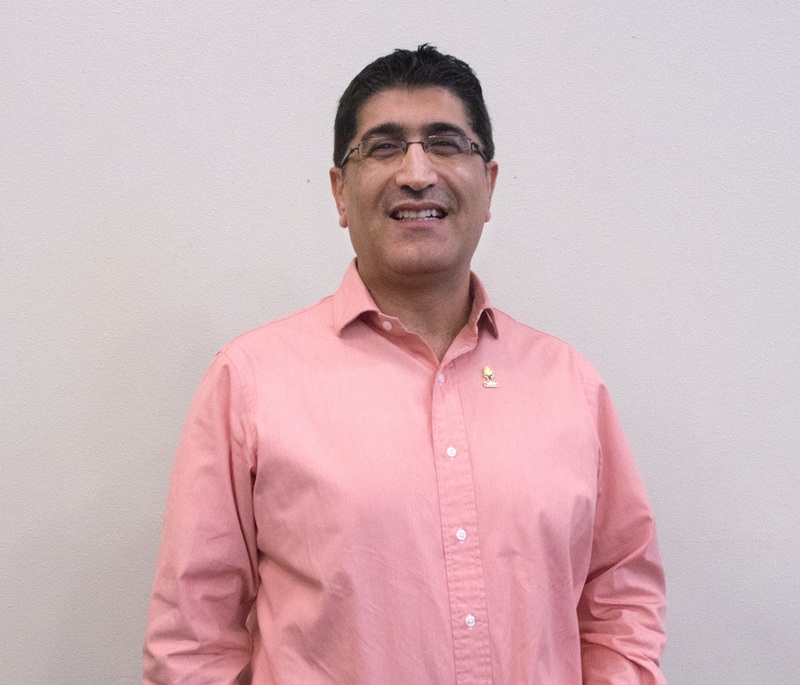 Rajab Zaza, who is originally from Syria, is a National Adult Education Honor Society member and former Rio Salado Southern student. 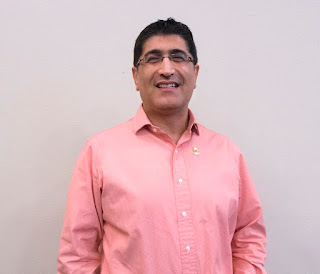 Zaza began taking Rio Salado’s English Language Acquisition for Adults (ELAA) classes last fall to improve his English while pursuing admission to a dental program. Zaza was recently accepted into a dental internship in Dallas. He stopped by Rio Salado Southern to thank his teachers and the staff for their coaching and assistance. “We are delighted that he will resume his 20 year profession upon earning his license to practice dentistry in the United States,” said Aliza Dodell, coordinator of instructional programs at Rio Salado. Interested in learning about how Rio Salado's ELAA programs and services can help you get ahead? Classes and resources are available throughout the Valley. Visit this web page for more information. Get to know some other Rio Salado ELLA students in this blog post. News courtesy of Rio Salado Director of Community Development and Partnerships Charles Flanagan and Coordinator of Instructional Programs Aliza Dodell.